Steamed milk pudding is a Cantonese dessert, which originated during the Qing Dynasty. When I went to Shunde, Guangdong a few months ago, I tasted the local steamed milk pudding, and I was shocked by how light and sweet they were! No pudding I have tasted had ever compared. Since then, every time I go to Shunde, it is a must-have item. I have tasted both large and small shops steamed pudding, so naturally, the next step was to try to make my own. What Is Milk Pudding With Egg White? In Chinese, it is called shuangpinai (双皮奶), which means ‘double skin milk’ in English. The reason for this, is because it has a thick layer of skin that needs to be condensed twice. The first skin is formed when cooling the boiled milk, and the second is from the egg white, milk and sugar from the steaming process. In Shunde, people have a consensus that good milk will make good milk skin. And, the higher the fat content of the milk, the resulting milk skin is thicker and thicker. Therefore, they use buffalo milk as the fat content is twice that of cow’s milk. However, buffalo milk is not something that is usually consumed by the average family, so we have alternatives to making the pudding thicker. We increase fat content by adding light cream to the recipe, but this ratio must be closely monitored. Another problem that is easily overlooked in the production of steamed milk pudding is the proportion of egg white in milk. 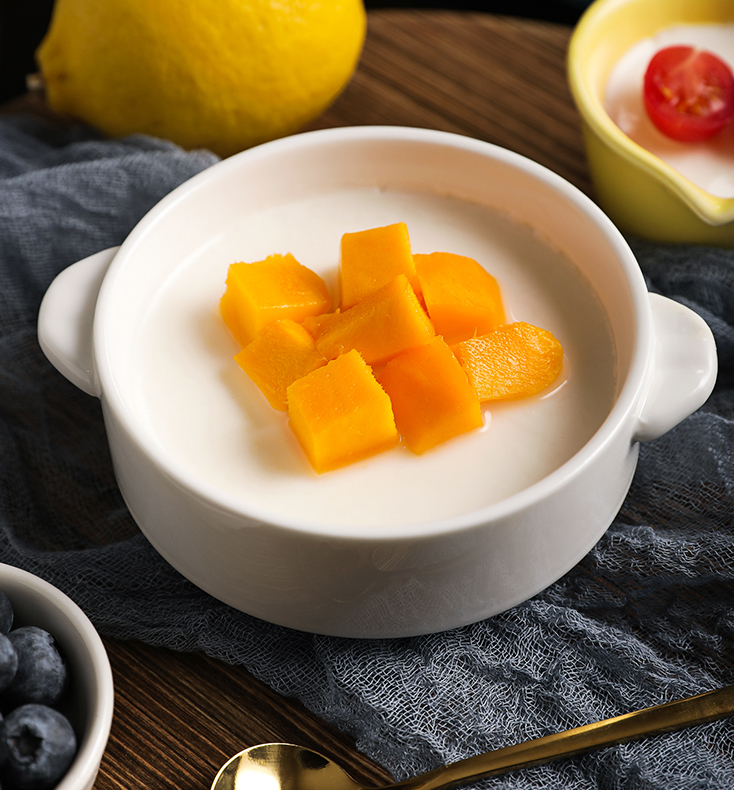 If the fat content determines whether the skin of steamed milk pudding is thick enough, the egg white content directly determines the taste of steamed milk pudding. Too much egg white will make the steamed milk pudding taste too hard and the egg tart is heavy. Having said that all that, let’s take a look at the specific approach of steamed milk pudding I have found works best for me! Step 1. Pour milk, cream, and condensed milk into the pot. Heat and stir evenly over low heat. When it is slightly bubbling, turn off the heat (do not cook until it is boiling). 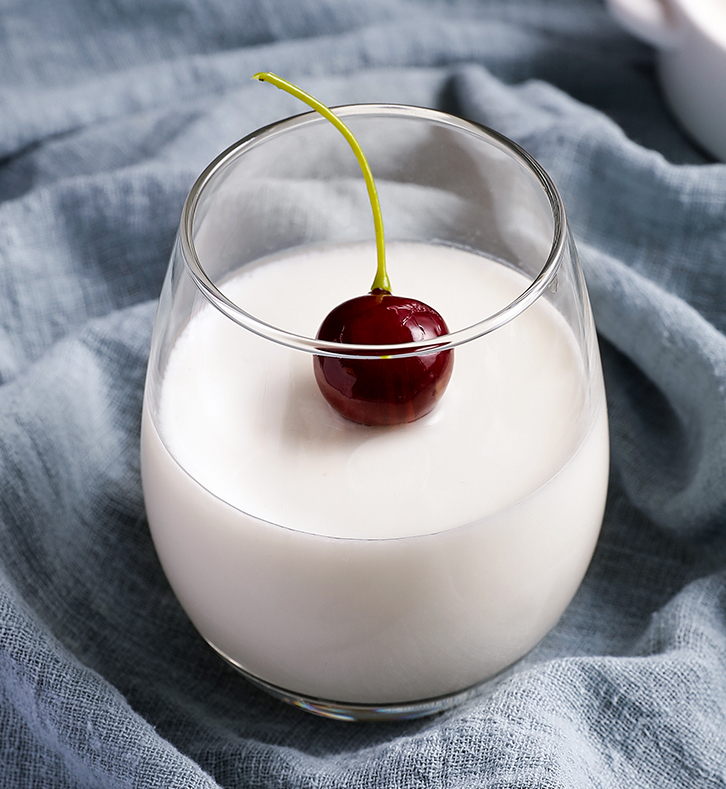 -PS: As mentioned above, it is not only necessary to choose whole milk, but also a small amount of light cream to increase the fat content of milk. 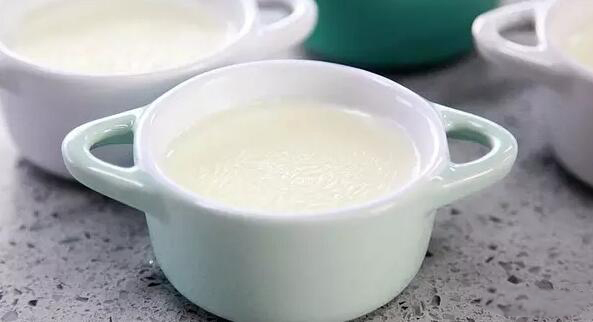 Adding condensed milk at the same time will make the milk more concentrated. 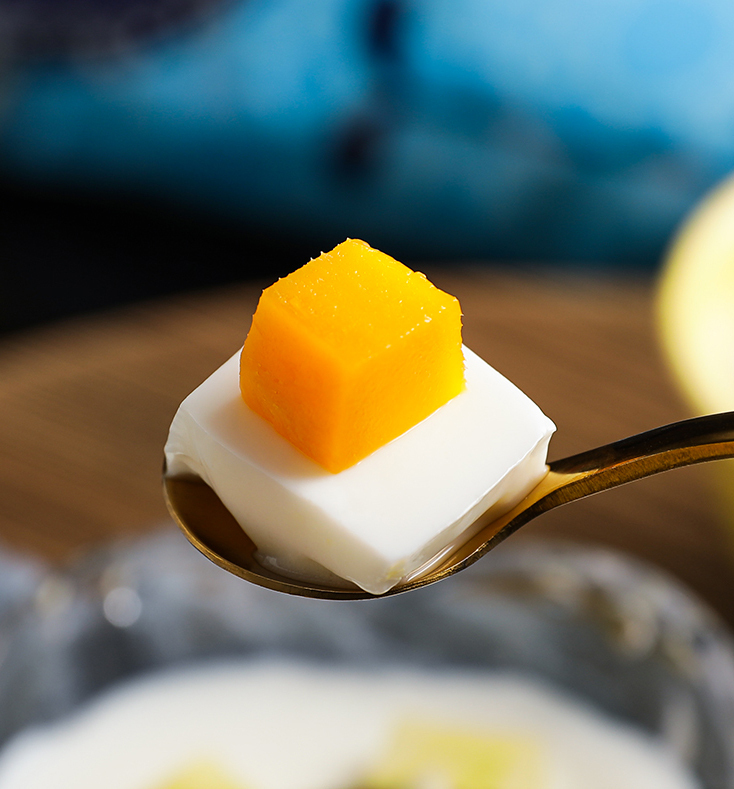 The condensed milk is sugary, so the steamed milk pudding does not require sugar to have a sweet taste. But to make it slightly sweeter, you can add 10 to 20 grams of sugar. Step 2. 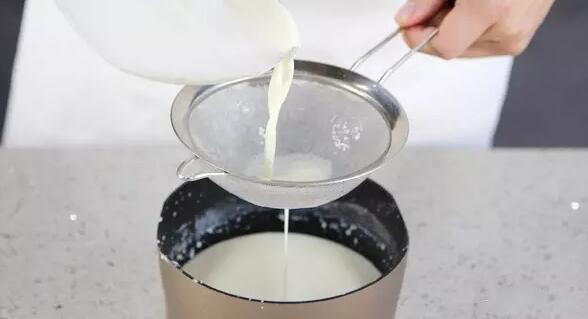 Pour the cooked milk into the prepared small bowl. Step 3. Wait until the milk in the bowl is slowly cooled. During the cooling process, a layer will form on the surface. Step 4. 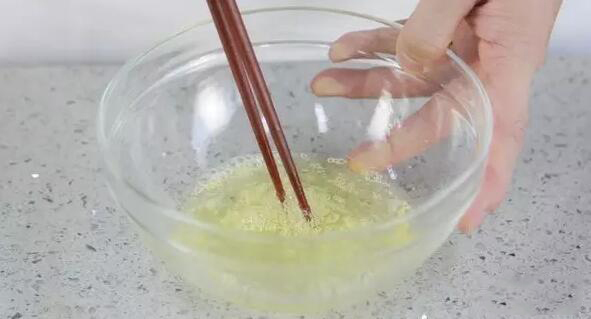 After the milk is cooled, pour the milk from the bowl back into the pot (block the film with chopsticks) and leave the skin in the bowl. Step 5. 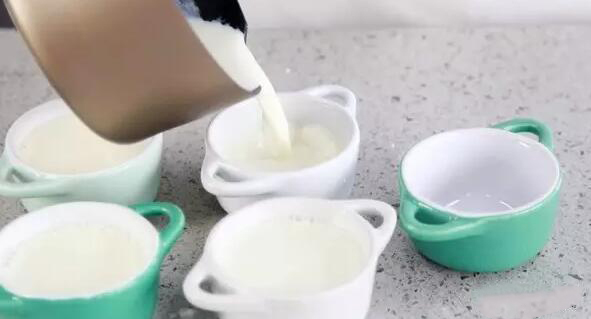 Leave just a small amount of milk in the bowl so the film doesn’t stick to the bottom. STEP 6. 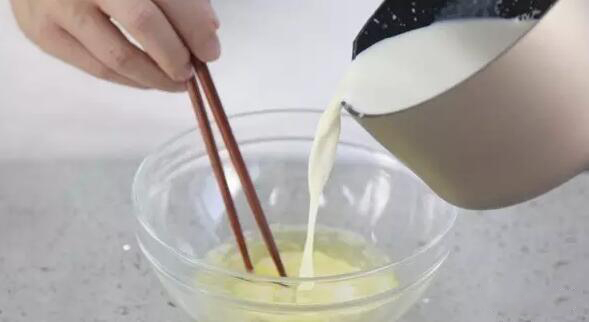 The egg whites are mixed together with chopsticks. Step 7. Pour the milk from the pot into the egg whites and mix well (if you want to add sugar, you can add it at this time). Step 8. The milk mixed with the egg white is then sieved. Step 9. 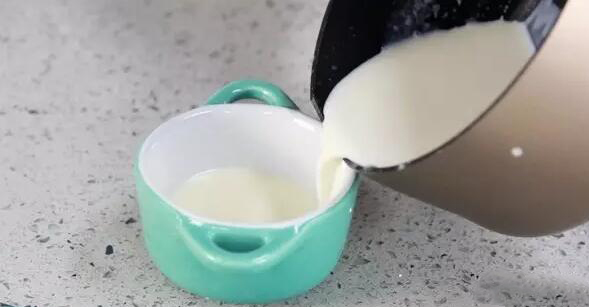 Slowly pour the milk back into the bowl so that the skin floats on top of it. Step 10. 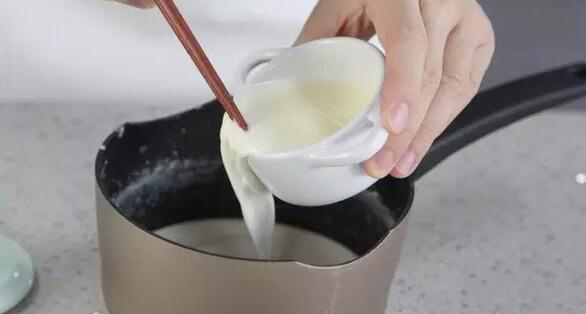 The milk skin should sit on top during the process of pouring. Step 11. Fill a steamer half full of water and put the small bowl with the lid in the steamer (if there is no lid, cover the surface of the bowl with plastic wrap). Step 11. Cover the lid of the steamer, boil the water in the steamer on medium heat, steam for 12 minutes, turn off the heat. 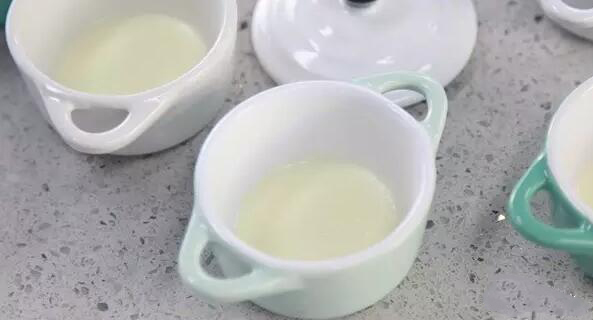 Remove the lid or cling film on the surface of the bowl and let the steamed milk pudding cool naturally. The second layer of milk is formed during the cooling process, giving the surface a thick skin. It can be eaten right after it cools, or refrigerated- I love mine refrigerated. 1. Add 45 grams of egg white, and the steamed milk pudding is very very smooth texture. 45 grams of egg white is a little more egg white than one egg, I use two egg whites, and then fish out some to make the proper weight. In addition, steamed milk pudding is not the same when it is hot and cold. 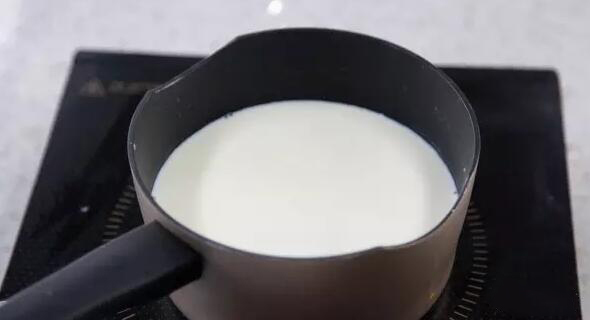 The steamed milk pudding that just steamed looks slightly fluid, not completely solidified texture (but it is this texture that is most common), after refrigerated steamed milk pudding solidifies better, the surface of the milk skin is also more mellow. I personally prefer steamed milk pudding after refrigeration. 2. Before eating, you can put some honey red beans (such as finished pictures), diced mango and so on the steamed milk pudding. Red bean steamed milk pudding has always been a favorite of many people. 3. This formula, if no added sugar, has a sweet taste, with a sweetness lighter than the steamed milk pudding on the market. If you like a little sweeter, add sugar according to your taste! 4. The steaming time is adjusted according to the actual situation. Do not heat too high, steam on low to medium heat, steam for about 12 minutes. If your bowl is bigger, it will take longer to steam.